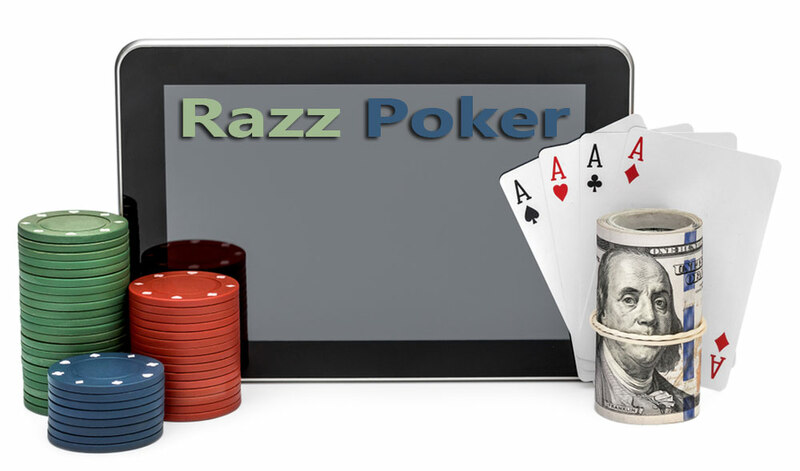 Razz poker is a variant of stud poker whose gameplay features a lowball kind of poker. Being under the HORSE umbrella, it is quite popular and usually played in high-stakes tournaments. Razz poker is also a favourite due to the little twist in its gameplay where players battle to score the least ranking five-card hand. It is also a great platform to begin as it houses fewer seasoned poker players. But before you go on and try your luck, let’s introduce you to the ins and outs of this exciting poker variation to help increase your winning chances. Razz poker borrows the stud poker gameplay with the only difference being that in the former, the lowest hand wins. The game starts with the dealer handing each player seven cards. Every player antes and is handed two face-down cards, often called hole cards, followed by a single face-up card. Naturally, the player who gets the highest face-up card is obligated to place the first bet (bring it in). He/she can then top it up also referred to as “complete the bet” or let the other players call or raise to achieve a standard bet. After that, the betting opens and players can keep wagering but while keeping in mind the pre-set limits. In cases where two players are dealt an equally ranking face up or similar door cards, the suit is used to determine who goes first. Spades ranks highest followed by hearts, diamonds, and clubs. K is the least card in Razz Poker, therefore, an automatic bring-in. The first betting round begins and flows clock-wise from the bring-in. In the second round, players once again receive another face-up card. The bring-in is determined and betting continues. The game follows the same process until the 7th card is reached. Note that at the 5th card, the betting increments double. A complete hand that guarantees a win has five lowest unpaired cards as you’ll see in the Razz Poker rules below. To determine the better Razz hand between player 1 and 2, we check the card strength from left to right. Since they share the same cards up to the fourth card, the deal breaker lies at the fifth cards where player 1 and 2 have 6 and 4 respectively. Player 2 will have a better Razz hand since 4 is less than 6. In Razz, while 7 cards are dealt, only 5 are used based on how small their value is. So even if you have three similar cards, straight flushes or a pair, they might not help you much. Here are more examples. As you’re just starting out, there are some razz beginner tips that will bail you out big time. The first one is to be extremely choosy during your initial hand selection. Having identified 5-4-3-2-A as the strongest hand, you want to always have these or anything close to them. However, also pay close attention to what your opponents at the table are holding. Make use of the face-up card. If your opponent has a card similar to one in your hand or higher, you are safe to call or raise. On the contrary, if they show lower cards or those that you wish you had in your hand, play defensively. If you get the bring-in, always try to raise even when you have weaker hole cards. This is a good way to steal blinds and antes since players with higher cards may be scared into folding. Also, if they don’t fold you now know that their hole cards are good hence you need to proceed cautiously. In summary, least cards in hand win the game in Razz poker. Practice your starting hand selection and hand reading and you will be good to go. Make sure you have all the Razz poker tips and rules on your fingertips too.